Like a beautiful set of botanical prints for your table, this pure linen tablecloth features an all-over design of panels delineated by hemstitching, each framing a different hand-embroidered flower. 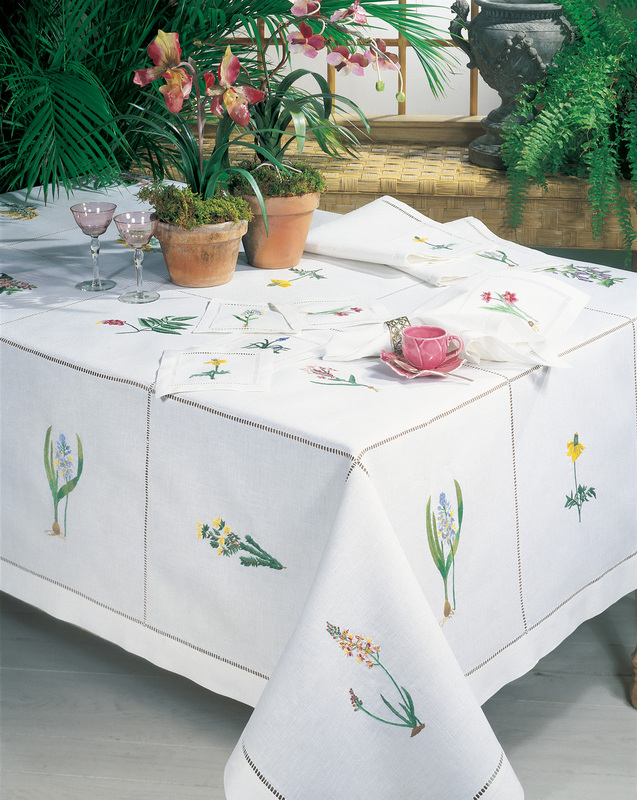 Coordinating napkins feature four different individual flowers. Woven in Italy.